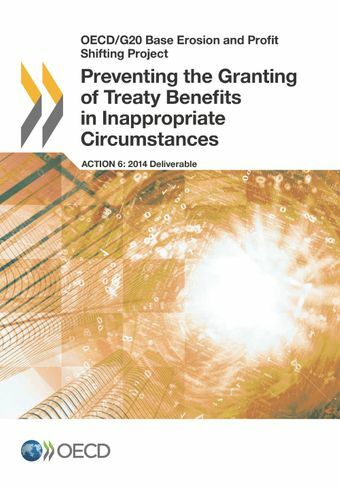 This report includes proposed changes to the OECD Model Tax Convention to prevent treaty abuse. Countries participating in the BEPS Project have agreed on a minimum standard to prevent treaty shopping and other strategies aimed at obtaining inappropriately the benefit of certain provisions of tax treaties. The report also ensures that tax treaties do not inadvertently prevent the application of legitimate domestic anti-abuse rules. The report clarifies that tax treaties are not intended to be used to generate double non-taxation and identifies the tax policy considerations that countries should consider before deciding to enter into a tax treaty with another country. The model provisions included in the report provide intermediary guidance as additional work is needed, in particular in relation to the limitation on benefits rule.